Before Andrea Garcia moved to Colorado in 1999 she was a managing partner in multiple successful businesses in construction and the automotive field. When Andrea moved to Colorado she got involved in the healthcare field as a CNA and enjoyed her time working with the elderly. In 2007 Andrea moved to Chaffee County and has been a part of this community ever since. 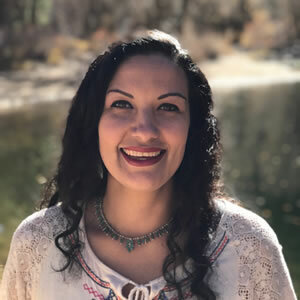 Andrea received her Associates of General Studies degree in 2016 through Colorado Mountain College. In the fall of 2016 Andrea started her journey in becoming a Real Estate agent. Andrea also currently serves on the policy council board for a local pre-school in Chaffee County. Through honesty, hard work and determination Andrea’s goal is to help guide people on both ends of the spectrum to find their real estate dream in Colorado. When she is not working Andrea enjoys spending time with her loving husband of 10 years, their four amazing children, two incredible dogs and 4-wheeling in the beautiful Colorado mountains.